As an African American woman I find myself constantly at a cross section of my label and my lifestyle; a place where the imaginary list of things society says I do or do not do defines my likely life experiences. Assessments about who I am or where I will fit-in are sometimes made based on whatever group or label someone puts me in. These judgements are not excluded to strangers or people whom exist outside of my “label”, but instead encompasses almost everyone. I have spent my lifetime with people outside of my friends and family looking at me strangely when I discuss something that seems to exist beyond my label, like my love for NASCAR for instance. But at the same time, I have had close friends and family give me the same strange look when I talk about wanting to buy a kayak. We have become so conditioned to make decisions about a person’s lifestyle based on what we assume about their label that we limit an opportunity to connect and discover. So what does this have to do with parks and recreation? ... A lot. Because social equity and equality are becoming increasingly important, it is necessary for us to explore and discuss some of the more nuanced ways equity and equality present themselves in our work. As parks and recreation professionals we have the benefit of exposure to a wealth of people with an assortment of interest and experiences; through community engagement, networking, programming, facility use, and even as a part of our work group. How we choose to engage with others is shaped in part by conclusions we have drawn about who they are based on a label. It is naive to suggest that we simply not make assumptions about others or ourselves based on labels; it is impossible, we do it every day, all day and without thinking. Rather, a better practice may be to acknowledge that the label exist, then be intentional about how we make decisions and plans based on lifestyle instead. To be intentional about focusing on lifestyles, we open to expose and open to explore. Being open to expose means, exposing others to opportunities despite a label. We use feedback from the community to create programs and events that are of interested to them. However, there is value in introducing a community to activities that they may not have considered or that may have been out of reach. This is where equality and equity in parks and recreation is important. An example of this is an outdoor program we offer for teens in high crime, high poverty neighborhoods in Greensboro. Offering a group of 12 to 17 year olds a chance to participate in kayaking, archery, fishing, or camping for the first time creates an environment of access and opportunity. These teens did not know lakes existed in Greensboro or that they were available to them. They did not believed people who looked like them or people who are living in poverty went camping or kayaking. Now, not only do those same teens have an appreciation for the outdoors, they are eager to experience new things. Being open to explore is more personal and means we are open to exploring the “imaginary list” that may be associated with our labels and finding ways to recreate beyond it. In 2015 I had an opportunity to travel to Italy. As I was preparing for this trip I made a list of all of the things I wanted to do. I knew Mount Vesuvius was in Italy but never considered it to be something I would do. Why, because it was so far from my imaginary list of things I was supposed to do that I could not believe it was accessible to me. When I received my final itinerary for my trip, Mount Vesuvius was on it. On the day I visited Mount Vesuvius I stood at the top and looked over into the volcano, at that moment I thought about what an opportunity I would have missed, had I stuck to my imaginary list. If we as parks and recreation professionals expand our experiences to activities beyond our labels, we are then able to share those experiences with others. If we limit our experience to cultural norms, gender expectations, age limitations and other label “constraints” we are also limiting the experiences of the populations we serve. If I were not open to exploring the outdoors myself, I would not have been open to exposing teens who share my label to the outdoors. I challenge each parks and recreation professional who creates and implements programs to be intentional about thinking from a lifestyle first perspective. Acknowledge that a person may belong to a label, but that their label does not define how they choose to recreate. I also suggest diving deep into your own label and exploring how that may shape your experiences. Be deliberate in finding, participating and sharing your experiences in order to enhance how you engage your community. Discussing how assumptions made based on labels can influence our interactions, is a start to addressing social equity and equality issues in parks and recreation. All of us have faced the dilemma, how do I get my stuff out there? How do I connect with the people in my community? I know I have awesome programs and events, why don’t people come to them? Awareness in your city or town can be a big problem, especially if you are a smaller department. Budgets can be tight, time is valuable, and the staff just don’t have the resources to effectively run a major marketing campaign, right? WRONG! As young professionals, we have lived our entire professional career with social media, and understand the power that it has. The best part is, it’s FREE, and all you have to do is take the time to work it. When I came to Lexington 2 years ago, we had a social media presence, but it was very disjointed - no voice, no vision, and needed help. People were there, and wanted to hear from us, but we had to make time to engage them. In the past 2 years, we have grown our likes from 1300 to 3000+ in a city of only 17,000 (shameless plug – give us a like! www.facebook.com/colparksandrec). There is no secret formula, but here are some tips and tricks to help you improve your social media presence. Take advantage of free stuff. Need cool photos to use? Pixabay and Unsplash are two FREE stock photo sites that have high quality pictures. Want to make professional looking posts? Try Canva, a FREE site that gives you all kinds of social media templates for posts, covers, etc. and more. Need more ideas? Check out Hubspot for marketing ideas and links. Go on NRPA Connect and the NCRPA YPN group on Facebook and ask questions of other people in the field, there are tons of free resources out there. Post videos. Videos will show up more in news feeds these days, so try and post videos when possible. At an event or program? Go live, and show off the cool things you are doing! Be personal. This doesn’t mean post as yourself on the department website. People want to see family and friends, so share photos of participants and people enjoying your programs and events. Little Johnny playing at camp will have much more engagement than a picture of a flyer for summer camp. Schedule in advance. Grab a calendar, check out what you have coming up, and then go ahead and schedule your content for the week. Boom, your Facebook week is done. Use your insights tab. See when your audience is online, look at the engagement for your post types, and understand what the audience demographics are. You can then use this information to tailor your content. Promote engagement. Ask for comments, pictures, gifs, etc. Interaction help drives your reach, and the more you have, the more people you can reach and impact. Schedule events. Have a cool event coming up? Make an event on Facebook, then share it. Making an event is so much better than just a post, because it shows up for other people in the “Events you may like” and Happening near you” sections. Show off your facilities! Parks and rec centers are cool, and sometimes people don’t realize all that your community has to offer. We did a #FallParkSpotlight, and every Wednesday highlighted a different park, and people told us they were introduced to parks they never knew were there! This may seem like a lot, so take a few steps at a time. Start with a plan, and work to integrate different pieces as you feel comfortable. By no means is this a comprehensive list, I am learning more and tinkering with the page constantly. The amount of time it takes now to manage our Facebook page is drastically less than what it used to be, but guess what? The interaction and reach we have is so much better now, and we have seen a tangible impact on registration, awareness, and community sentiment. At the end of the day, isn’t that what it is all about? 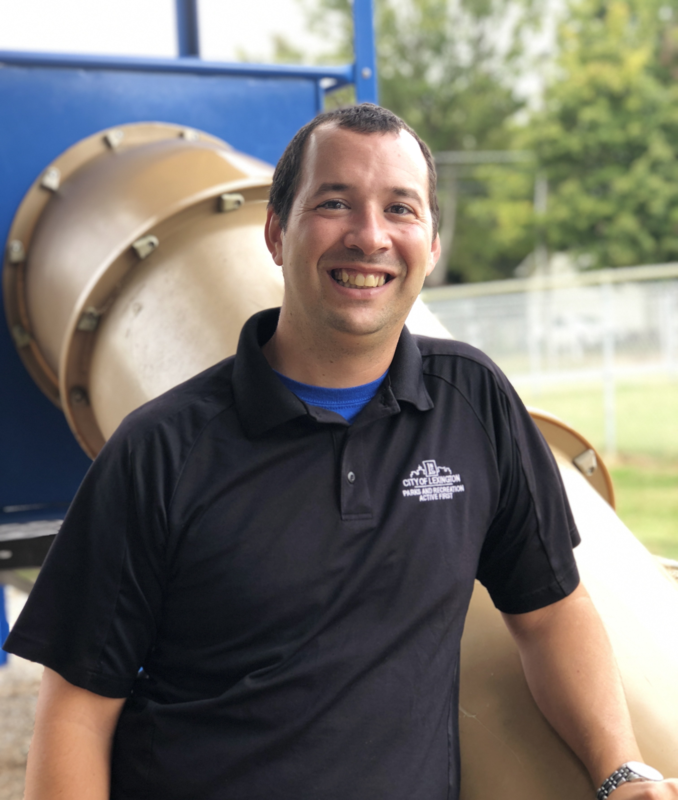 Andrew Lance is the Parks and Recreation Manager for the City of Lexington. Recreation has been his passion since an early age, especially sports, but he realized early on that he would not grow up to be a professional athlete. Instead, he decided to stick with what he loved, and see the enjoyment others get from being active, playing, and learning. He attended and graduated from the University of South Carolina with a degree in Sports Management. After school he worked for private sports facilities in Virginia Beach and Downingtown, PA prior to moving to Lexington. Andrew is married with two young boys, and enjoys following Tottenham Hotspur, Carolina Panthers, Atlanta Braves, and the Gamecocks among others, and playing sports whenever he can. Connect with Andrew on LinkedIn (www.linkedin.com/in/andrewlance1), Facebook (www.facebook.com/andrew.lance.016) or reach him at aglance@lexingtonnc.gov. This week’s adventure took me to Mount Airy for their NRPA Park Champion event with Representative Virginia Foxx. The event was held at Riverside Park and was held in conjunction with their Hero Day at the Park. This event brought local city services, along with health and wellness information to the kids in their summer camp program. There were representatives from the fire department, police department, the city recycling program, the city landscaping services, the county health department and an obstacle course provided by parks and recreation. The activities were all educational in nature. Whether it was learning about the fire truck, ‘driving impaired’ through a course made of cones with the police department or learning the difference between muscle and fat. There was also fun built into the day with chalk drawing in the parking lot and running the obstacle course. Representative Foxx was in attendance to see the importance of federal programs that help park and recreation agencies provide healthy meals and enrichment opportunities to children nationwide. In Mount Airy, the summer feeding program is offeredin conjunction with Mount Airy City Schools. To read more about the event check out this article in the Mount Airy News http://mtairynews.com/news/53108/foxx-pays-visit-to-city-park. Mount Airy received a Commit to Health Grant from NRPA to implement and offer programs and services to their community. I had a chance to chat with Eric, the camp director when I arrived at the park, and he talked about how they are working to impart healthy habits through camp. I think the message is getting absorbed! He told me he’s noticed when they go to the pool and the kids have access to the vending machines to make their own choices, more of them are getting water instead of soft drinks or performance beverages. Riverside Park was established in 1977 and was renovated in 2004 and 2009. The park is home to the skate park, basketball courts, playground, soccer field, open play space, shelters and a canoe launch. The park also serves as the trail head of the Ararat River Greenway, which goes 6.8 miles to Veteran’s Park. Along the greenway, three of the four city schools have access, and there are plans to add two more miles of greenway that will connect the fourth school. The greenway has also served as a connection for the business community. We had lunch at Chase & Charli which borders the greenway. They have created a paved path from the greenway to their business along with outdoor seating that overlooks the river and greenway. At one point, the Ararat River was on the ‘bad rivers list’, but through funding by the Clean Water Management Trust Fund and programs with the North Carolina Wildlife Resources Commission, there is a section of the river designated for delayed harvest. It is nice to see the river turned into an asset for the community that not only provides enjoyment for the community but also serves as an economic driver through tourism and recreation. I hope everyone had a restful and enjoyable Labor Day weekend! The NCRPA team has special information brought to us by the National Recreation Park Association. Tomorrow, September 9th, the United States Surgeon General Vice Admiral Vivek H. Murthy, will release a Call-to-Action on Walking and Walkable Communities titled “Step it Up.” The event taking place in Washington, DC will be webcast live! Details about how to watch the live webcast will be made available on the Surgeon General’s website: (http://www.surgeongeneral.gov). The “Step it Up” movement will be focused on inspiring communities across the nation to become more active through a variety of activities. As a compliment to “Step if Up” NRPA has been in the process of developing materials, with the help of the Centers for Disease Control and Preventions, to encourage the nation to get out and walk in their parks. The materials were created and ready for you to share with your community to spread the word about living a more active life! The Get Out and Walk in Your Local Park video discusses how one-third of adults are overweight and less than half get the required exercise! Walking just 30 minutes a day can reduce risk of heart disease, improve blood pressure and sugar levels and lower the risk of certain types of cancer. NRPA also has provided infographics and a Safe Routes to Parks document, these two resources offer tips for walking in parks and highlight the health and wellness benefits of walking. This information is an awesome source to share in your community to inspire them to walk more in the local parks. Remember to promote this information by using social media, such as: Facebook, Twitter and Instagram. Need ideas on what to post to the social media networks? NRPA has generously provided sample social media messages that you can customize and use! This information truly matters to both adults and youth in our nation. Sharing this information and tuning into what the Surgeon General has to say will only bring us closer to improving the health and wellness not only in North Carolina, but America. Please be sure to visit the Surgeon General’s website tomorrow to watch the live broadcast. You know that the NCRPA team will be doing just that! Kendrick Mayes, Garner and Jay Tryon, Indian Trail discuss the 2014 NRPA Annual Conference in the above video blog interview from NRPA. Viva Las Vegas! This year, the National Recreation and Park Association will celebrate their 50th Anniversary in the exciting city of Las Vegas. For students and young professionals, this year is not only memorable for the significance of the association celebrating 50 years, but also because of the location. However, with limited department funds how can a young professional ensure that they are able to attend NRPA Congress? #Scholarships! That’s right, applying for scholarships through NRPA and NCRPA can help you partially or even completely fund your trip. As a first-time attendee and young professional at the 2014 NRPA Congress in Charlotte, North Carolina, I was fortunate to receive the National Recreation and Park Association Student Scholarship and the National Recreation and Park Association Ethnic Minority Society Scholarship which fully covered my conference registration, travel, lodging and meals. As the Marketing and Events Coordinator for the Garner Parks, Recreation and Cultural Resources Department I used a portion of my scholarships to attend the pre-congress workshop Brand+Aid Marketing Institute. Attending this session has helped tremendously with my professional development because I was able to sharpen my current marketing skills and also implement new techniques on the job to make the department better. 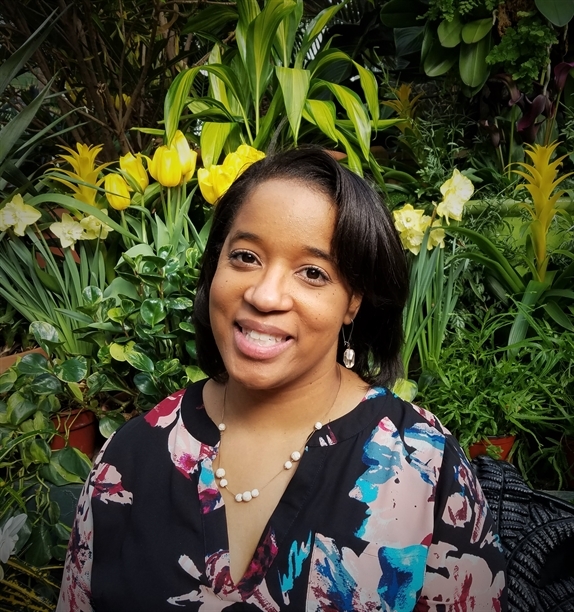 Before I attended the NRPA Congress, I remember reading an article at North Carolina Central University written by Ms. Tiffany Johnson from the DC Department of Parks and Recreation about the importance of networking and doing your research before attending Congress. I’m glad she wrote the article because in order to be successful at Congress you definitely need a game plan. The game plan should include options on which sessions you plan to attend, which networking events you plan to sit in on and also what you would like to gain from attending. Before I left for Congress, my Town of Garner business cards had not arrived yet, so I got creative in printing my own cards to pass out after sessions. This proved to be a wise decision, because the worst thing that can happen to a young professional is for them to attend a great session, ask questions, interact with the speakers and the moment comes to exchange contact information and the young professional does not have any business cards. Along with my NRPA scholarships , I was also able to receive the North Carolina Recreation and Park Scholarship Foundation Fletcher Graduate Scholarship. I used the funds to towards covering additional educational expenses in my journey as a young parks and recreation leader here in NC. I strongly encourage my fellow young professionals to apply for the various scholarships that are available. This money is dedicated to helping professionals ( LIKE YOU!) to continue their education so they can advance in the field. Even if you feel like your resume or your community involvement doesn't compare to someone else, you would be surprised at how many people miss out on scholarships all because they did not take the initiative to apply. Additionally, I would encourage all young professionals to consider getting involved with networking opportunities, whether it’s a group here in our state with NCRPA or nationally with the NRPA Young Professional Network, NRPA Ethnic Minority Society Network, the NRPA Administrators Network. By doing this, not only do they stay current on receiving scholarships, but they are also in the know about opportunities within the field. This past month the National Parks and Recreation Association made available a $1.8 million grant funding to local park and recreation agencies to help support out-of-school programs. The grant is an exciting opportunity because it supports the same principals of NCRPA’s Wellness Initiative when it comes to health and wellbeing in the communities we serve. NRPA will be awarding 50 new one-year grants, so the challenge is how to get your department involved as a top contender for one of these grants! 1. Increase the number of healthy meals for children in low-income communities. 2. Implement and increase standards of nutrition and physical activity. 3. Create behavior change through nutrition literacy and teaching the importance of healthy eating. 4. Implement strategies and policies to reduce food waste and costs. The NCRPA Wellness Toolkit has information that discusses wellness activities and education that target a number of the NRPA grant goals. On our Healthy Concessions page, we discuss how your department can include healthy vending and concession items without losing revenue. Offering more nutritional items can impact the overall health of the families and children involved in your programs. We also have information on the Wellness Activities and Education webpage containing ideas on adding nutrition education and physical activity within after school and camp programs for children. Lastly, on reducing food waste and costs, refer to our Healthy Fundraising page to gather tips on how to create revenue through non-food, activity based, and healthy food fundraising ideas. The NCRPA toolkit is a great resource to generate ideas and motivate your department to apply for the NRPA Out-of-School Time Programs Grant. You all have the ability to meet the goals of the NRPA grant and to make a difference in the community. Why pursue a Certified Park and Recreation Professional (CPRP) certification? When asked why I pursued the Certified Park and Recreation Professional (CPRP) certification. My initial thought was; why not? I think it is my obligation as a recreation professional to seek as much knowledge and offerings as possible. To me, the CPRP was a chance to reflect on my experience, and take the passion I have for this field into recognition, in the form of certification. The certification was motivation to prove to myself that I have gained a great deal of experience and knowledge over the last few years. I found the study guide to be extremely interesting, with topics that I have not dealt with in several years. This helped refresh my mind on how to pursue certain issues. After my first time reading through the study guide, I realized what areas I needed to focus on. This helped me not only for the exam, but also with day-to-day responsibilities. I also decided to pursue certification as a level of dedication and acknowledgement. I hoped that this could show my employer and other departments the dedication I have and, hopefully, help my career path along the way. I have noticed more and more opportunities that are seeking the certification as a preferred accomplishment for candidates. Since obtaining my certification I have advanced my career and I believe that this was one of the deciding factors to my employer. Not only that, I pursued the CPRP because I love the field of parks and recreation and hope to continue my career path. In order to pursue advancement I believe it is vital to pursue any certifications I can. This does not just stand true for the CPRP but also for specialized certifications as well, like the CPSI and AFO. The CPRP has helped me get involved on both a state and national level with several committees through contacts I have made with other professionals. CPRP has also helped me set an example to my staff. I recently had one staff member that I hired call me with such excitement to inform me of the same achievement. That moment was just as if not more exciting than obtaining the certification myself, it is a testament that what we do as recreation professionals can have an impact on not only our communities but our staff as well. Visit http://www.nrpa.org/cprp/ for more info on how you can pursue your CPRP.